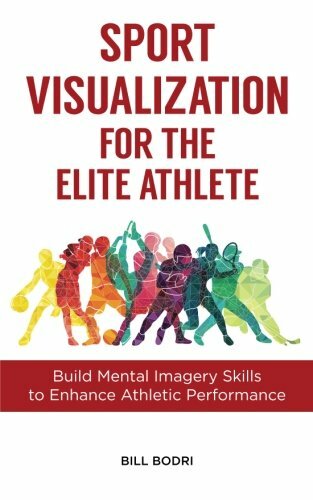 Visualization, mental imagery, sport imagery… the practice has many names but essentially means this: Imagining yourself completing a skill successfully. Or in this case, your ATHLETES seeing themselves completing skills successfully! Visualization at its most basic level has been shown in multiple studies to improve performance in most situations. This gets more and more true the higher the level of play! As with any skill though, I believe it’s better to train while you’re younger so you’ll be well practiced when you’re older and having a mental edge is even more important. Think about the last time your team was in a slump, or facing a difficult situation. Maybe there was a REALLY tough server on the other team. Maybe their sets were so quick your middle wasn’t able to keep up with the hitters. Or maybe your libero just seemed out of it and was swinging at every ball coming her way, instead of her typical calm and smooth movement to the ball. Using visualization can help combat these tough times, regroup your team or specific athlete, and help you move on from difficult playing situations. As an example, let’s say your serve receive has been chasing balls all over the court but can’t seem to pass any of the serves to target. After about 3-4 of these serves you might call a timeout and ask the team to close their eyes. Have them imagine themselves seeing the ball leave the servers hand, reading the direction of the ball and reacting quickly, and angling their platform so the ball pops straight up and your setter can get underneath it. After that, you want everyone to be ready to hit the ball over and you’ll get out of the rotation. Now, the next ball may or may not play out in that situation. But you have to keep asking your players to see it happening to give yourself the best chance! Part of the problem is losing focus and not being ready. By visualizing, they’ll have better control of their body and react quicker! Notice in my example that I was fairly descriptive, even though I had to (hypothetically) share the information quickly in a timeout. You’ll want to walk your players through the important parts that they may be missing at present, explain to them how they’ll react, what a desired, realistic expectation is, and end on a positive note and discuss moving on from the setback. Take some time and practice now. Think about a difficult scenario you recently faced (either the whole team or a specific player) and think about how you would coach them out of it. In my example it was a team situation, so I shared with everyone during a timeout. But if a specific player needs a break, you could call a timeout and have an assistant or captain lead the huddle, and talk to the player one-on-one. Players will need enough time to take a couple of deep breaths, position themselves on the court ready for the next ball, and see themselves perform a skill fully in their mind before the whistle blows. A dead ball is usually a good time to sneak in a quick visualization for players who are able to coach themselves, but a timeout may be more appropriate if you see your players beating themselves up mentally. Just before a game could also be a good time for general visualizations such as positive posture, confidence, and strength. The middle of a rally, however, is no time for a player to start imagining their upcoming kill. You need players to be able to focus on reacting to the game situation in the middle of play, so make sure they know when and when not to employ visualization techniques! High rep drills or “redo” drills may help your players start to develop mental toughness and confidence in their ability to overcome setbacks through visualization. You’ll play the point back with the same pass and set, but this time the hit SHOULD go over. If there is another error, who cares! Play it AGAIN! Go until the ball goes over. Now… it’s important to teach visualization BEFORE running this drill. Otherwise you’re likely to have that player repeatedly hit the ball out or into the net, get frustrated, and not see the point of the drill. Come up with a cue word/phrase/motion to signal a calm mind and quick visualization to repair a skill. You can run drills like this with any skill, but serve receive is one of the most important in my mind. So if a player messes up their pass in serve receive…. serve to them again! This particular practice will benefit your team tremendously. Good luck using visualization with your team! Remember, the more they practice, the more likely they are to use the new skill in their mental toolbox successfully!